New Jersey isn’t just full of some of the best food in the country—it’s also brimming with opportunities to learn how to replicate awesome recipes in your own kitchen. Throughout the state, you’ll find cooking classes for beginners and “seasoned” chefs alike where you can hone your technique to create awesome fare that’s every bit as good as what you’d order in a restaurant. Fuel your foodie passions at these 10 best cooking classes in New Jersey. Highly acclaimed chefs transform this farm-to-table kitchen into an arena of hands-on culinary creation. Their cooking classes span a huge variety of cuisine and techniques, from pasta and seafood to international fare. You’ll want to reserve your spot early, as their classes tend to sell out. Kids and adults alike can learn a thing or two about food prep and cooking in these easy yet skillful classes. They offer a variety of demonstrations, hands-on classes, and chef-prepared meals with a behind-the-scenes look. You’ll always walk away with more than you came in with. Creative and innovative, the cooking classes here focus on all things healthy living. 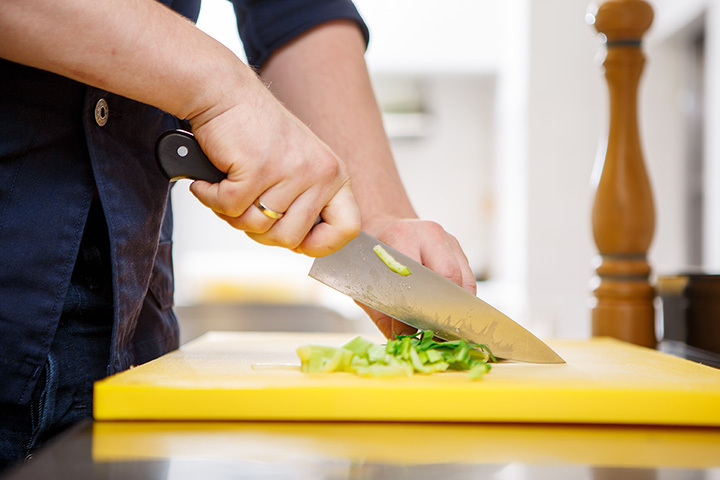 They not only dive into crafting perfect recipes, but also cover basics like knife skills and food safety. They have a full suite of classes specifically for kids, too! This is the most authentic Italian cooking experience in the state! Led by Italian chefs with tried-and-true family recipes, guests get the inside scoop on all the best flavors of Italy, so you can recreate them in your own kitchen. It’s a fully immersive, hands-on experience that’s the next best thing to visiting Italy itself. Focused on all things creative, their cooking classes are ideal for date night, family night, or any time you’re in need of a unique evening. They’ve covered everything from cheese making and homemade marshmallows to cookies and Irish brunch. They’re also available for private celebrations, corporate events, and kid’s birthday parties. From making delicious dishes to making new friends, this place is so much more than a cooking class. They offer classes for every skill level, helping you not only craft recipes but also learn techniques you can put to use in your own kitchen. Choose from a delectable variety of courses, including international cuisine, desserts, main courses, and beyond. This cooking school is geared toward children and teens, helping them get comfortable in the kitchen and develop skills that will carry with them for life. You can book single classes or sign up for an ongoing membership. They also host birthday parties for a unique celebration your child won’t soon forget. This upscale New Jersey food market hosts its own cooking classes using ingredients you can find in-store. They bring in special guest instructors, including celebrity chefs, to teach you techniques and recipes to boost your culinary repertoire. From demonstrations to hands-on cooking to classes for teens, there’s a little something for everyone. This cooking experience is a bit different, as they only offer private parties for groups of 10 or more. Plus, they come to your kitchen rather than hosting in their own studio. But the instruction is as exceptional as they come, and the food you’ll prepare is every bit as good as what you’d order in a high-end restaurant. For the best in farm-to-fork cooking, you’ll want to start your adventure here. Their renowned chefs focus on all things holistic and healthy without sacrificing flavor. In addition to classes for adults and kids, they also host special dinners, complete with hand-selected wines.